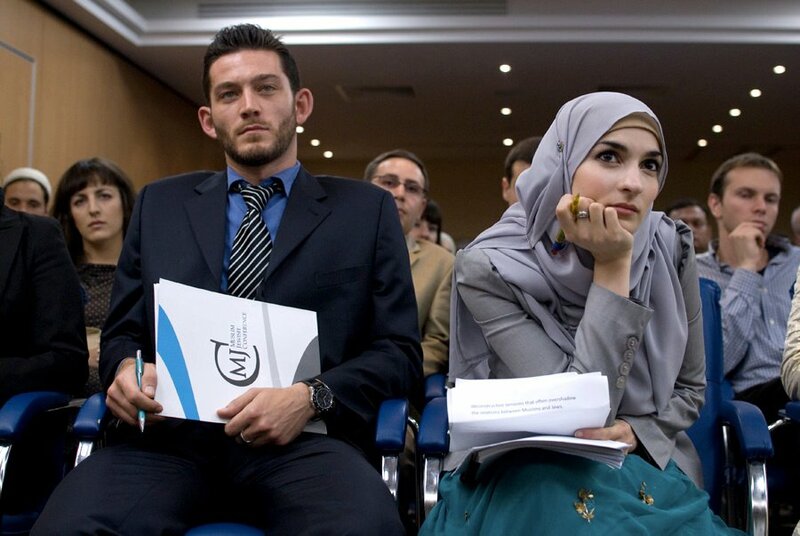 The Muslim Jewish Conference (MJC) is a dialogue and leadership organization for students and young professionals, bringing together important representatives and young leadership from Muslim and Jewish communities and beyond. The MJC is an innovative and progressive educational non-profit organization based in Austria. It wants to deepen interest in and evoke curiosity for intercultural communication and interfaith issues in particular Muslim-Jewish relations. The MJC seeks to expand its visibility and extend its vibrant network of dialogue and intercultural communication in order to move closer to its goal of becoming a global think tank for Muslim-Jewish interests. In recent times, most Jewish and Muslim youth have not had constructive contact with each other, so their opinions regarding one another are mainly based on stereotypes and prejudices dispersed both by their media and society. There is a considerable lack of motivation in recognizing and understanding the wishes, fears, problems, and hopes of their communities. We are strongly convinced that young individuals around the world would more than welcome such a multi-cultural and multi-religious dialogue. By offering a forum, we wish to go beyond the borders of our dogmas and enter a phase where Muslims and Jews can see each other again as friends and allies who can together face the challenges that lie ahead. Our collective faith has no name, but is the faith in the possibility of a peaceful coexistence. Although we all clearly know there wont be simple or fast solution for problems such as armed conflicts throughout the Middle East, we feel determined and convinced to address the topic of lacking communication and contribute to a long term change towards mutual appreciation. The MJC aims to initiate as well as maintain a platform for discussion and networking about and between Jewish and Muslim communities, to contribute to a peaceful globalized world. This conference also aims towards identifying future needs, challenges and opportunities for finding and formulating shared positions and recommendations. develop an inter-cultural and inter-religious language and interaction between young academics of both religions to reduce preconceived bias by facilitating a platform for discussion and exchange. establish a contact and networking framework, used by the participants personally as well as professionally and additionally by committees and the annual MJC conference. It must be pointed out, that the main agenda of the conference is not a political one nor is it a debate upon the validity of our religions. It is rather an interdisciplinary exchange based on mutual respect and tolerance where differences are being acknowledged and moved beyond. The participants represent a new generation of thinkers, doers and allies, who are connected by their faith in the possibility of a new era of cooperation. Our aim is to establish the MJC as a well known name providing real change in the interaction of Muslim and Jewish communities around the world. This annual conference will be our step together creating the power to forge a link between possibility and reality and actively shape our future.